Do you waste money buying clothes that sit in your wardrobe unworn? Do you know what suits your body shape and proportions? Do you wonder which colours suit you best? Are you confident in knowing what is appropriate to wear in every situation? Do you know how to dress to create your best possible first impression? Do you hate shopping and don’t know what suits you? Are you still wearing the same clothes year after year? Have you ever thought that you would love to have a personal stylist? 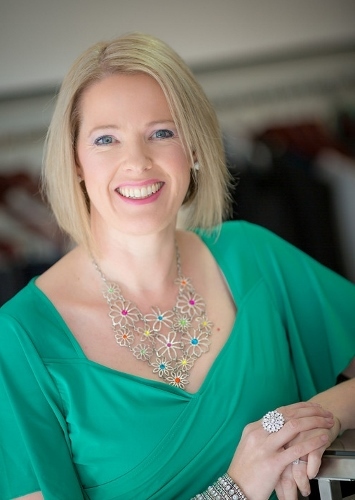 Melbourne based Certified Image Professional and Image Consultant and Personal Stylist Imogen Lamport, AICI CIP can help you de-clutter your wardrobe, make sense of your personal style, find your best colours and assist you in any way you need to become more confident with your clothes. Based in Doncaster East in Melbourne you are welcome to come to us, or we can come to you in your home (Melbourne and surrounding regions). Thank you Imogen, there are no skeletons left in my closet! I’m very happy with all of my new clothes and most of them are things I would have never chosen for myself. I realised after shopping with you that I have been in the habit of buying things that are too big for me. The new clothes are still comfortable but look much more polished. Thank you so much for your help. I’m looking forward to doing it again when the spring/summer clothes are out! Thanks again for the consultation- I learnt so much not just about my colours but the contrasts and style personality was spot on. 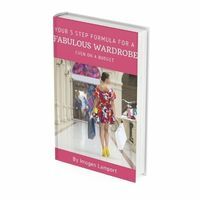 I’m so excited to start developing my own new capsule wardrobe in my colours & style. I could instantly see where I have made mistakes in the past as well as when I have got things right in my wardrobe at home. (& feel I’m still learning – reading my booklet over& over). I also understand why I don’t like things too. 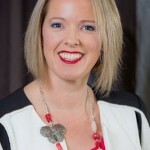 Don’t be ‘dresstitute’, contact Bespoke Image today and arrange your personal or business image makeover.